The Outer Banks Community Foundation awarded more than $109,000 in grants last week to 19 separate charities. Nonprofits from Dare County, Ocracoke, and Currituck County will benefit, on programs ranging from ball fields to libraries, sea turtles to arts groups, college-bound students to adults with disabilities. The largest grant awarded was to the Beach Food Pantry of Kitty Hawk: $50,000 over two years toward the purchase of a new pantry and office space. In 2014 the Pantry helped feed 4,100 people, which represents about 15% of Dare County’s population. With the Community Foundation grant for the building’s down payment, the Pantry will be saving $300 each month in mortgage payments, allowing them to feed an additional 20 Dare County residents each and every month. The Network of Endangered Sea Turtles received a $3,975 grant for a new ATV, which will allow this all-volunteer group to identify turtle nests on the beaches between Virginia and Nags Head, mark and protect the nests, assure that hatchlings reach the ocean, and educate beachgoers about those amazing and ancient creatures. Mano al Hermano received a $2,264 grant for translation equipment, and the Carolina College Advising Corps received a $10,295 grant to help support a full-time advisor for Dare County’s three public high schools. Targeting low-income, first generation, and other underrepresented students, the goal of the program is to increase the college-going rate of Dare County seniors, help students find the best post-secondary institution for them, and increase the outside scholarship dollars received by Dare County students. For Ocracoke, the Community Foundation awarded $25,000 for the Ocracoke Community Park — the third installment of its three-year commitment for the island’s first-ever baseball field. The park officially opened this past spring. The Community Foundation also awarded its second annual David Aycock Loy and Pauline Wright Grants, which specifically target adults and children in Dare and Currituck Counties with intellectual and developmental disabilities. The Special Olympics received a $5,000 grant to provide training and competition opportunities for over 60 athletes from Dare and Currituck Counties, subsidizing uniforms, facilities, and travel costs to the state competitions. The Lighthouse Club of Monarch received $2,400 for a community kitchen, and the Beach Club of Monarch received $3,800 for an art instruction room. The Dare County Library also received a grant through the Aviation Education Fund to purchase additional copies of David McCullough’s Wright Brothers biography. In addition, the Community Foundation also awarded grants from several donor-advised funds, which are funds managed on behalf of donors and families who recommend the grants that are awarded. 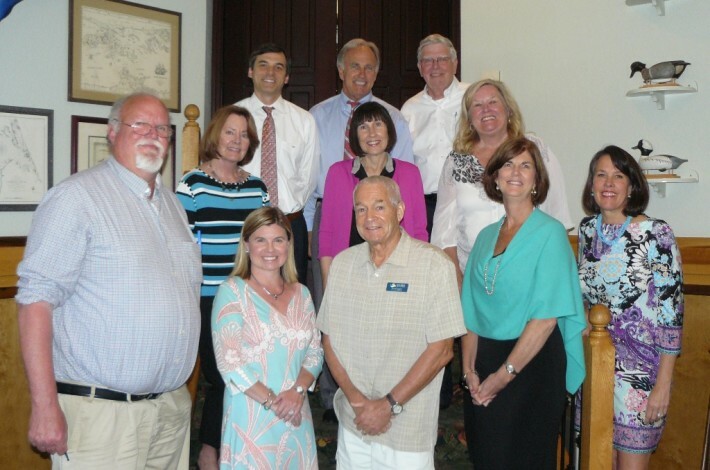 The Francis W. and Virginia H. Meekins Family Fund awarded a grant to the Beach Food Pantry for needed food/resources, and the Kelly Family Fund awarded grants to the Outer Banks Relief Foundation, Pocosin Arts, Father’s Heart Ministries, Meredith College, and the Children and Youth Partnership of Dare County. The Preston Family Fund awarded grants to Food for Thought in honor of Evelyn B. Preston, the Shriners Hospital for Children in memory of Norman G. Preston, GEM Adult Day Services in memory of Mabel S. Preston, the Community Care Clinic of Dare in memory of Elizabeth K. Preston, and Interfaith Community Outreach in memory of Rev. Norman G. Preston, Jr. for the Dare Cancer Support Group. The Community Foundation is currently accepting applications for its Community Enrichment Grants program. The next application deadline is Friday, July 31. Eligible projects must directly benefit all or a portion of the Community Foundation’s service area, which includes all of Dare County, and all Outer Banks communities, from Corolla to Ocracoke Island. Community Enrichment Grants support all charitable categories, including arts and culture, animal welfare, children/youth, disaster relief and prevention, education, the environment, health, historic interpretation and preservation, and other human services. For more information, and to submit an application online, visit www.obcf.org/grants. The Outer Banks Community Foundation is a public charity that connects people who care with causes that matter. The Community Foundation manages $13.5 million in 135 charitable funds for individuals and agencies, awards charitable grants to local nonprofits, administers 45 scholarship funds, and provides tailored services to help donors pursue their charitable interests. Since its inception in 1982, the Community Foundation has awarded more than $6.8 million in grants and scholarships to local nonprofits and students.